The Wizards and Bobby Portis will decide this summer if they want their relationship to be long-term, writes Chase Hughes of NBC Sports Washington. Acquired from the Bulls at the trade deadline, the 24-year-old power forward will be a restricted free agent in July. Portis is posting career highs with 15.3 PPG and 8.9 RPG in his nine games with Washington and is enjoying his new surroundings. However, Portis’ return next season isn’t a sure thing. Thomas Bryant will also be a restricted free agent, and Hughes doesn’t expect the front office to invest heavily in both. Washington will also have decisions to make on free agents Trevor Ariza, Wesley Johnson and Jeff Green, who will all be unrestricted. Even if the Hornets can re-sign star guard Kemba Walker, there’s no guarantee they can ever surround him with enough talent to become a contender, observes Rick Bonnell of The Charlotte Observer. GM Mitch Kupchak made inquiries about Bradley Beal, Marc Gasol and Harrison Barnes prior to the trade deadline, but wasn’t able to acquire any of them. Bonnell notes that if Charlotte commits about $200MM to Walker over the next five years, it will become tougher than ever for the team to add a second star. Harrison Barnes, one of the few NBA players to get traded during a game, talked about the experience and life with the Kings during an interview with Marc J. Spears of The Undefeated. The image of Barnes remaining on the bench and cheering for his ex-Mavericks teammates after learning about the deal is one of the enduring pictures of this year’s frenzied trade deadline. The seventh-year forward lets fans in on the whirlwind experience that happened after he left the arena. Now that the Kings have Harrison Barnes, the next step is to figure out the best role for him, writes Jason Anderson of The Sacramento Bee. Acquired from the Mavericks last week, Barnes has played extensively at both forward spots and his usage in Sacramento may depend on the opponent, according to coach Dave Joerger. Barnes has played both positions extensively throughout his career, with 48% of his minutes as a three and 50% as a four. The Warriors used him mainly as a small forward when he broke into the league, but shifted him to power forward later in his tenure there. He was mainly a power forward in Dallas. LeBron James hasn’t lived up to the excitement that surrounded his decision to join the Lakers, contends Bill Plaschke of The Los Angeles Times. L.A. will enter the All-Star break with a 28-29 record, placing them 10th in the Western Conference. Plaschke notes that although James has been brilliant on the court, he missed 17 games with a groin injury and affected team chemistry by maneuvering to get head coach Luke Walton replaced and pushing for an Anthony Davis deal that caused all of his young teammates to be subjected to weeks of trade rumors. The Lakers missed out on Enes Kanter in the buyout market, but they remain in the running for Markieff Morris, tweets ESPN’s Ramona Shelburne, who names the Rockets, Thunder and Raptors as the other top contenders. L.A. is also considering Carmelo Anthony, Shelburne adds, but is concerned because he hasn’t been active since November. Berry Tramel of The Oklahoman examines whether the Clippers made the right move by trading away Blake Griffin last season. 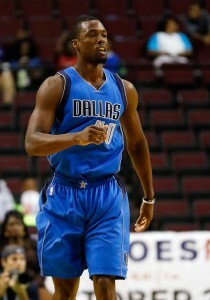 Harrison Barnes, who arrived in Sacramento at the trade deadline, made his league debut in 2012 and since that time, he has appeared in 64 playoff games. He was in eighth grade when the Kings last made a postseason appearance, but he’s eager to help the franchise get over its 13-year drought. “To be a part of this, to see it up close – talking with the coaches, talking with the players – it’s exciting just to see the hunger they have to win,” Barnes said (via Alex Kramers of NBA.com). Barnes won a championship in Golden State before migrating to Dallas. He’s the only player on the roster with a ring. Outside of Alec Burks, who was also acquired at the deadline, and Nemanja Bjelica, no other Kings rotation player has postseason experience. The 26-year-old saw himself fitting in with the team before he made his debut in Sacramento. Barnes’ ability to split time between the three and the four gives the Kings lineup options that they didn’t have before the trade. Having entered trade deadline week carrying $11MM in cap room and a handful of expiring veteran contracts, the Kings were expected to be among the NBA’s most active teams at the deadline, and they delivered, completing a pair of deals for Alec Burks and Harrison Barnes. Discussing those trades following the deadline, GM Vlade Divac explained that the club was thinking about both its short- and long-term future. The Kings had long been seeking an answer at the small forward position and are hoping Barnes can be that player after they acquired him from the Mavs for Zach Randolph and Justin Jackson. The veteran forward could theoretically leave Sacramento in free agency this summer, but the Kings sound hopeful that Barnes will stick around, either on his 2019/20 player option or on a new deal, as Ham relays. Corey Brewer, who signed a 10-day contract with the Kings after the trade deadline, called Sacramento a “perfect situation,” according to Jason Anderson of The Sacramento Bee. Brewer said he received interest from other teams, but likes the way the Kings “get up and down” the court and hopes to help the club’s push for a playoff spot. Even after signing Brewer, the Kings still have one open spot on their roster, as our list of NBA roster counts shows. Sacramento is under no obligation to fill that opening, but the team would have to eventually get back up to 14 players if it lets Brewer walk once his 10-day deal expires. The Grizzlies hold two of the NBA’s biggest trade chips as today’s trade deadline approaches, and the two teams linked most frequently to Marc Gasol and Mike Conley, respectively, remain in the hunt for those players, according to reports. Marc Stein of The New York Times tweeted this morning that the Hornets continue to engage the Grizzlies on a potential deal for Gasol, which has been rumored throughout the week, and ESPN’s Adrian Wojnarowski confirms (via Twitter) that the two teams are still trying to bridge the gap in those talks. Meanwhile, on the Conley front, the Jazz have been most frequently cited as a potential landing spot for the veteran point guard. Despite whispers that Conley prefers not to end up in Utah, the Jazz haven’t abandoned their efforts to acquire him, according to Stein, who tweets that Memphis has considered waiting until the offseason to revisit Conley trade talks. Even if Gasol and/or Conley stay put, it could still be an active deadline in Memphis. Stein notes (via Twitter) that JaMychal Green is attracting trade interest. Garrett Temple and Justin Holiday have also been mentioned as potential trade candidates. While their focus is on Gasol for now, the Hornets were in the mix for Harrison Barnes before he was sent to Sacramento, according to Stein (Twitter link). The Timberwolves haven’t made any serious progress on any deals, according to Darren Wolfson of 5 Eyewitness News, who observes (via Twitter) that the Jeff Teague, Gorgui Dieng, and Taj Gibson contracts won’t be easy to move due to large cap hits and – in the case of Teague and Dieng – multiyear commitments. Anthony Tolliver, on a smaller expiring contract, has generated interest and could be moved today, Wolfson adds. League sources tell Duane Rankin of The Arizona Republic that the Suns haven’t talked to the Lakers about a Lonzo Ball deal and that Josh Jackson and T.J. Warren aren’t expected to go anywhere today. FEBRUARY 7, 12:43am: The trade is now official, according to a press release from the Mavericks. The club confirmed it has released Mejri, who will become a free agent if he clears waivers. As Bobby Marks of ESPN notes (via Twitter), assuming Dallas uses its recently-created Wesley Matthews traded player exception to absorb Randolph’s salary, the team should generate a new TPE worth $21,299,378. It would be the largest trade exception in NBA history. FEBRUARY 7, 12:13am: Because they’re acquiring two players in exchange for one, the Mavericks will need to waive a player to finalize the trade. That player will be Salah Mejri, according to Mike Fisher of DallasBasketball.com (Twitter link). Mejri was informed of the decision during Wednesday’s game vs. Charlotte, per JD Shaw of Hoops Rumors (Twitter link). FEBRUARY 6, 9:18pm: The Mavericks are finalizing a trade that will send Harrison Barnes to Sacramento, tweets Shams Charania of The Athletic. Justin Jackson and Zach Randolph will be heading to Dallas, according to ESPN’s Adrian Wojnarowski (Twitter link). There are no picks involved in the deal, confirms Sam Amick of USA Today (Twitter link). The Kings are hoping for a long-term arrangement with Barnes, who has a $25.1MM player option for next season, Woj adds (Twitter link). He has been a consistent scorer during his two and a half years in Dallas, peaking at 19.2 PPG in 2016/17. He is averaging 17.8 points and 4.3 rebounds in 48 games this season. Sacramento, which is the only team with remaining cap space, will use $10.5MM to complete the trade, posts Bobby Marks on ESPN Now. Barnes has an 8% trade bonus that comes to $686,443 if the deal is finalized tomorrow. The Kings will have $21MM in cap room this summer if Barnes opts in or $45.2MM if he doesn’t. Today’s trades will leave Sacramento with an open roster spot. The Kings appear serious about making a run at a playoff spot, which seems more available after the Clippers traded Tobias Harris early this morning. Sacramento started the day in ninth place at 28-25, just one game behind L.A. The trade leaves Dallas close to being able to offer a maximum contract in free agency this summer, tweets ESPN’s Zach Lowe. Jackson will make $3.28MM next season and Randolph has an $11.7MM expiring contract. Lowe states that the position of the Mavericks’ 2019 first-round pick could determine whether they can reach a full max deal. Dallas won’t have that pick – or the associated cap hold – unless it lands in the top five.